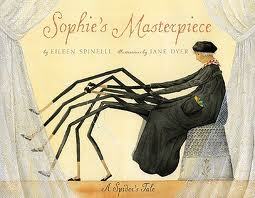 Sophie the spider is an artist. She spins beautiful masterpieces with her eight busy legs, but the humans she lives with don’t appreciate her art. One day she meets a human who doesn’t kick her out, and Sophie spins her a beautiful gift of thanks.